Nick and Jake’s serves up chef-driven American cuisine (and a few tasty surprises). In addition to our mouthwatering menu, which ranges from burgers and sandwiches to seafood and filet mignon, the creative culinary team is always developing new specials to blow your mind. Also pretty mind-blowing? Our Sunday brunch buffet, voted the best in Kansas City. And don’t forget about drinks—we certainly don’t. 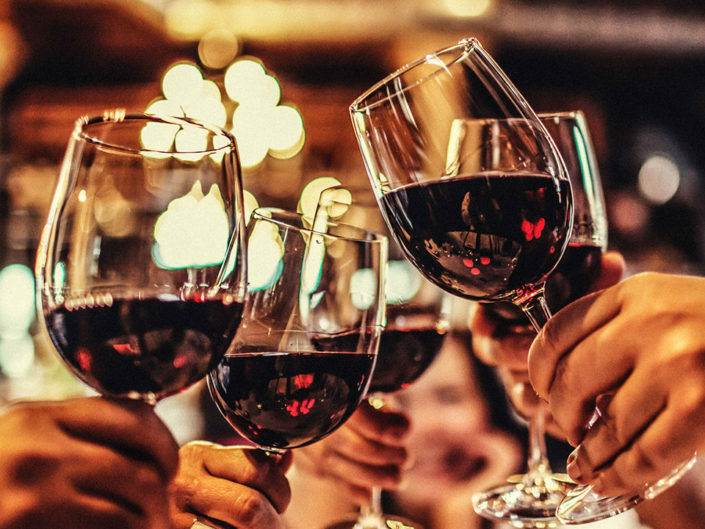 Make a selection from our beer and wine lists, order up a specialty cocktail or sip our bartenders’ latest mixed masterpiece. Cheers! Nick and Jake didn’t have much in common growing up on different sides of State Line Road, but there’s one thing they ultimately did agree on: Nothing beats real food and honest drink. For 15 years, those ideas have been the cornerstone of Nick and Jake’s. 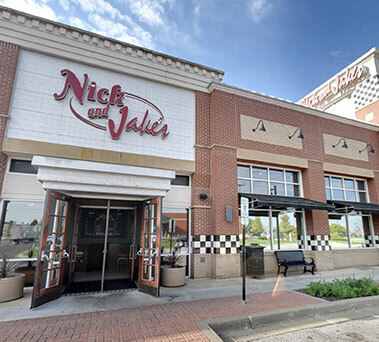 The perfect place to meet up and catch the game, discover new drinks and dishes or enjoy old favorites, Nick and Jake’s offers something the whole crew can feel good about. We’ll save you a seat. 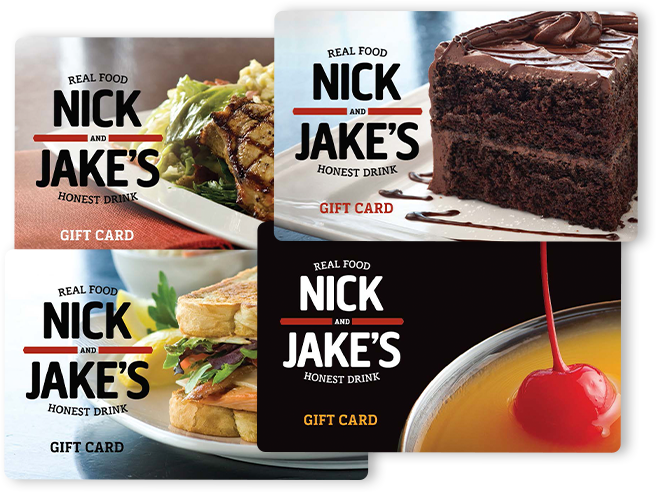 The perfect gift for any occasion, Nick and Jake’s gift cards offer you the flexibility and assurance that your gift will be well received. 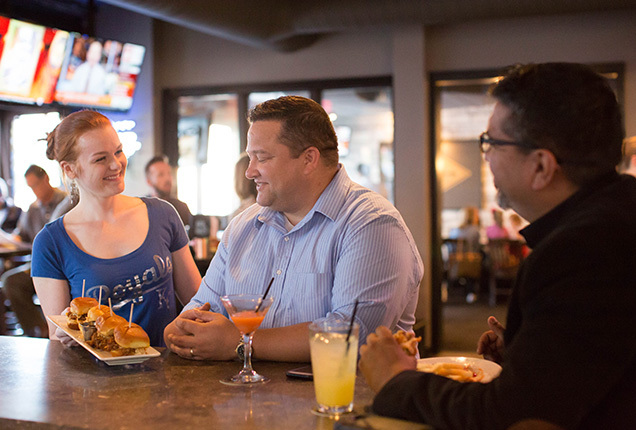 Become part of the best restaurant team in Kansas City. 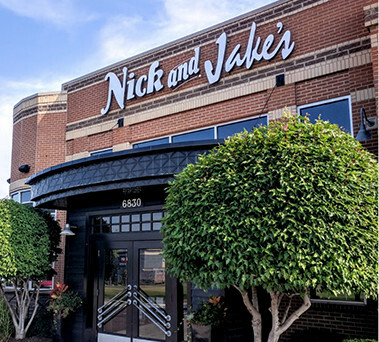 Learn about current opportunities to work with Nick and Jake’s.